This is from Day Two of the workshop with Kathleen Galligan - a wild, cool and windy day! So different from the hot day before at Anastasia. 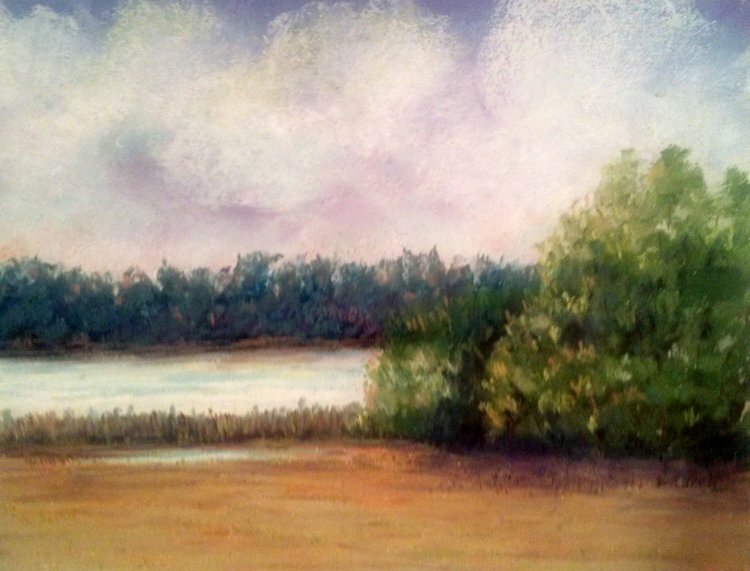 It was the sort of day to send easels and pastels flying if you were not careful - but a pretty little park and boat ramp along the intracoastel waterway. This was done on my usual 9x12 Art Spectrum paper using a variety of pastels.